It’s a bony bump that forms on the joint where your big toe meets your foot -- called the metatarsophalangeal (MTP) joint. It happens slowly over time, and eventually gets bigger and sticks out. It can make your big toe turn in, sometimes so far that it moves on top of the toe next to it. The most obvious sign is a bulging lump on the joint. It might hurt and be swollen or red. It also can make it hard to move your toes, especially your big toe. 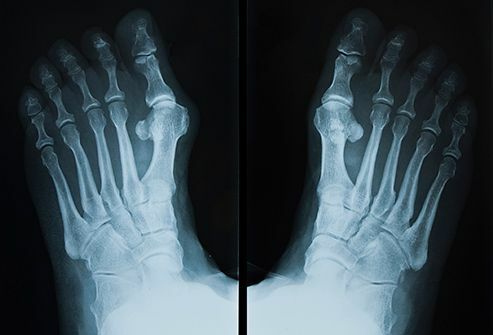 Conditions that make your joints swell and hurt, like rheumatoid arthritis, can lead to bunions. 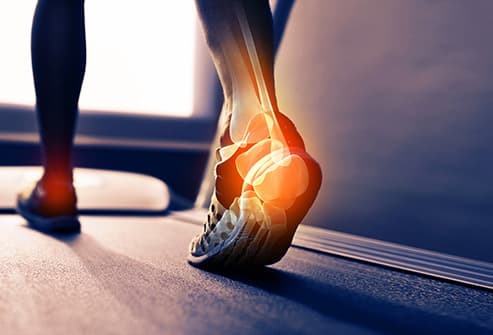 Shoes that don’t fit well can, too, especially if they cramp your toes. And some people are just more likely to get them because of the way their feet are shaped. This happens most often in girls between ages 10 and 15, but boys can get them, too. Doctors aren’t sure exactly why girls are more likely to have them, but it may have something to do with changes in footwear around that age. Unlike adults, young people who have bunions can usually move their big toe, but it still hurts. Teens typically get them because they run in their families, not because of a health condition. This is a bunion that forms on the joint where your little toe meets your foot. It’s also called a “tailor’s bunion." Tailors were known to sit cross-legged for long hours, which put pressure on that side of their feet and led to bunions near their pinky toes. Your doctor probably can tell you have a bunion just by looking at your foot, but she’ll want to do an X-ray to see if the joint is damaged. That also can tell her how serious it is and possibly what caused it, which can help her decide how to treat it. This might be all you need to do to manage bunion pain. Your doctor can help you choose shoes that are right for you -- they should have lots of room for your toes, and heels lower than 2 inches. High heels put pressure on the front of your foot and can cause bunions and other problems. Stay away from shoes that are tight or pointed or crowd your toes. To ease swelling and pain, wrap a bag of frozen vegetables or crushed ice in a towel and put it on your bunion. 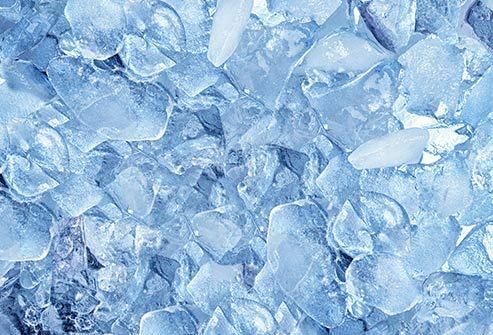 Be sure not to leave it on longer than 20 minutes at a time -- it can cause ice burn because your foot has less tissue and muscle than other parts of your body. If you have nerve damage or circulation problems, talk to you doctor before putting an ice pack on your feet. Special pads can cushion the area near the bunion that hurts. But talk to your doctor first, or test the pad for a short period to see if it helps. If it’s the wrong size for you, it can add pressure and cause more problems. 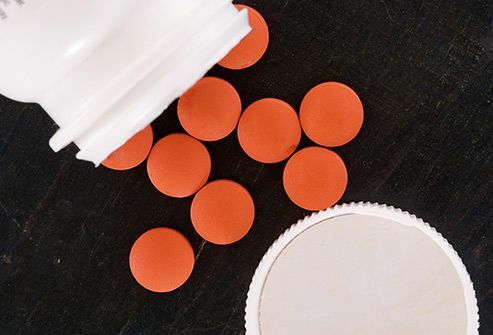 Over-the-counter painkillers like acetaminophen, ibuprofen, or naproxen can help with swelling and pain. If your bunion is caused by arthritis or another condition, your doctor may give you medicine for that, too. If other treatments don’t work for you, your doctor might suggest surgery to straighten out your big toe. 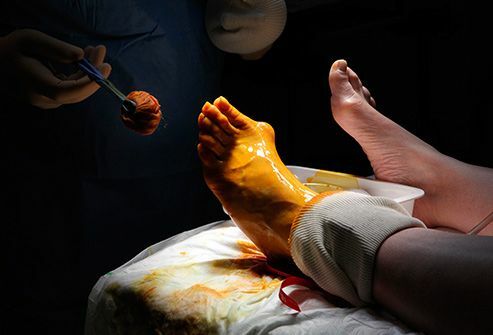 Doctors usually don’t recommend this in adolescence, though, because the foot is still growing and the bunion often comes back. A fluid-filled sac, called a bursa, cushions the bone near the joint on your big toe. When that joint gets bigger because of a bunion, the bursa can get swollen and painful -- that’s called bursitis. This can make it hurt even more and may damage the smooth tissue that covers the joint, called cartilage. That can lead to arthritis. This is when the ball of your foot gets swollen and hurts. Bunions can cause it, and shoes that are too tight or too loose can make it worse. You’re more likely to get it if you run or jump a lot -- like when you jog or play basketball, for example. Shoes with insoles or arch supports can help. A bunion can cause a bend in the middle joint of your second, third, or fourth toe that shouldn’t be there. It happens when the muscles and tendons there get pushed out of position. More comfortable shoes can help, but your doctor might recommend surgery if your hammertoe causes serious problems.